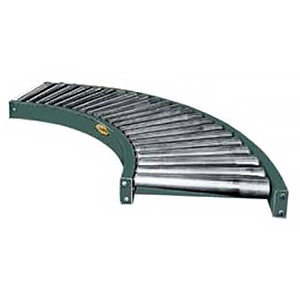 Gravity Roller curves add to the versatility of straight conveyors. Curves provide smooth product flow with minimum amount of pitch based on weight and size. Guard rails may be added for product protection. Standard sections 5' or 10' long with 45 or 90 degree curves.